As Global Chief Research Officer for Colliers International, and U.S. Director of Research for CB Richard Ellis, Ward Caswell applied his vast expertise and pragmatic approach to defining and managing the company's global research strategies. Ward possesses a thorough understanding of data, data systems, statistics, real estate trends, and statistical analysis and an aptitude for unraveling highly complex situations and crafting a clear vision that transcends that complexity. He has used these skills to create a roadmap for Colliers’ research teams worldwide that leverages the company’s knowledge base and unique industry technology platforms within a budget-conscious framework. Ward has also been instrumental in introducing new products and programs to commercial real estate-related research practices. He won a Diggie Award, which honors innovation in technology, for the creation of the Commercial Information Exchange (CIE) within the Open Standards Consortium for Real Estate (OSCRE). The CIE is designed to standardize the definitions and methods for exchanging listing data electronically. Later, Ward joined the Executive Board of OSCRE, where he was also instrumental in launching the Real Property Unique Identifier (RPUID), a registry of commercial property designed to facilitate easier matching of disparate property-relevant data sets. 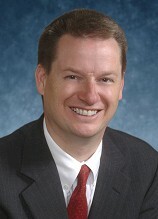 He currently serves as a founding member of OSCRE's Advisory Board. Ward has shared his combination of pragmatism and business savvy with audiences nationwide including being a frequent speaker and panelist at national commercial real estate finance industry events. These include client-facing knowledge events hosted and sponsored by Colliers International and his former employer of 10 years, CBRE, as well as headlining national industry events sponsored by such leaders as RealComm and PikeNet. Ward has been a contributor to articles and columns in numerous industry and mainstream business publications including National Real Estate Investor, GlobeSt.com, Commercial Property News, Global Markets Bulletin, Investors Business Daily, BusinessWeek, the New York Observer and the Wall Street Journal. Ward holds a B.S. in Electrical Engineering from Tufts University. He is an active member of the Massachusetts community, serving as President of The Beveridge Family Foundation, Inc. and a Director of Stanley Park of Westfield, Inc. He is a founding member of the Advisory Council to OSCRE.